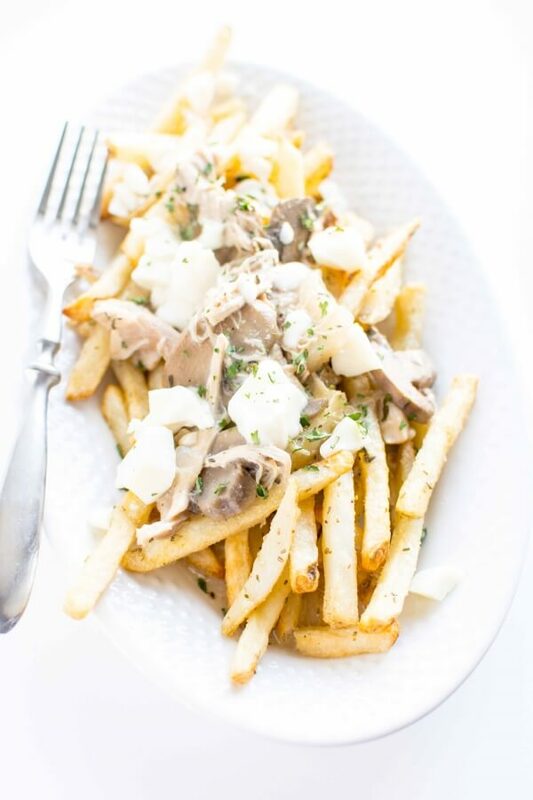 If you’re from Canada please feel free to jump in right here and tell me how I’ve totally taken out of context a favorite dish and turned it into something completely different while still calling it poutine. I won’t be offended. I’ve never had the real thing but I just keep seeing it all over the Food Network and can’t stop wanting to jump on a plane to somewhere that makes it so I can have some! But since that’s probably not super practical then I’ve settled for doing my best and making my own version at home. I didn’t know what to expect from these little things they call squeaky cheese curds but I ripped open the package (after I paid for them) to give them a try. Yum! Like just a little milder and a lighter and cleaner texture compared to “regular” cheese. What do you think? How do you describe them? Okay I know, enough about the cheese already. The recipe is pretty simple, just some flavorful chicken thighs in a simple homemade gravy that cooks all day in the slow cooker. Everything goes atop your favorite crispy cooked oven fries. I used Alexa Rosemary Fries and loved the extra flavor. I also utilized a bag of my favorite mushrooms. Easy, already cleaned and sliced and ready to go. 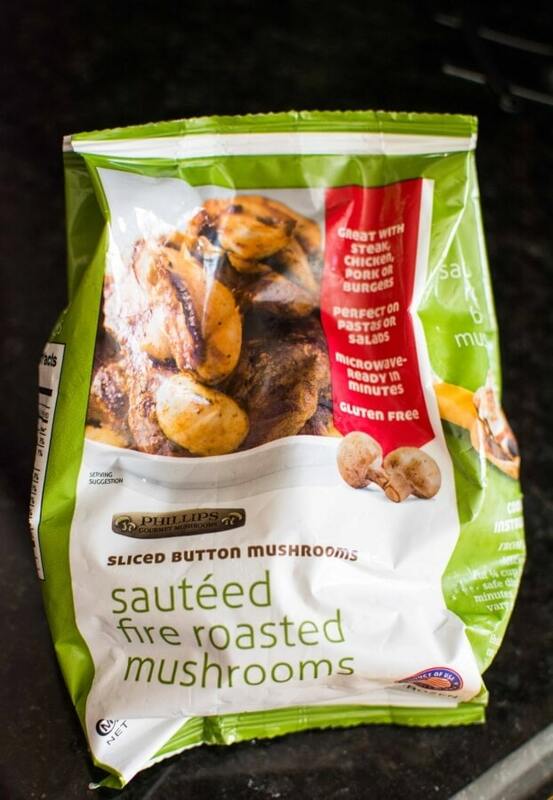 They hold up in the slow cooker well and I don’t have to worry about them going bad before I use them like with fresh mushrooms. Let me know what you think? 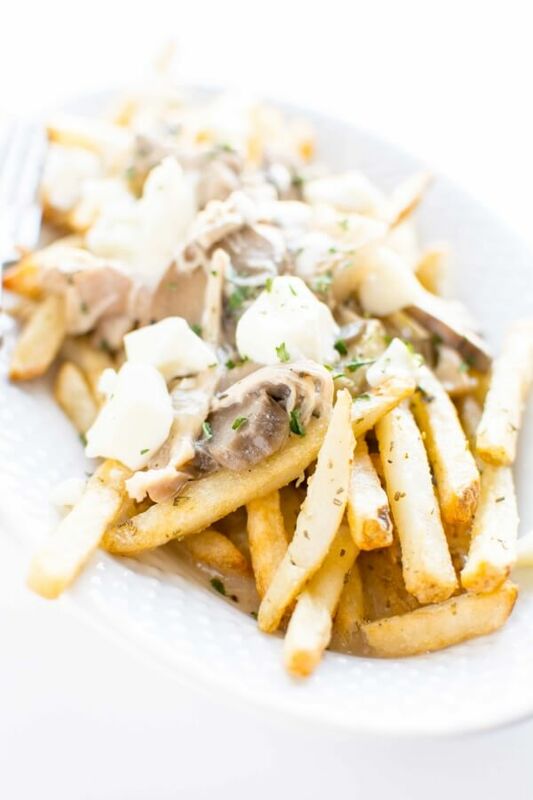 Are you on the poutine band wagon? Well, I’m from Canada and I think this recipe looks delicious! The only thing I care about when it comes to poutine is that cheese curds are used. I get really disappointed when I go to a restaurant and they just use shredded cheese. You’d be surprised how hard it is to find a good poutine here. I’m going to save this recipe and give it a try! Thanks Leah! 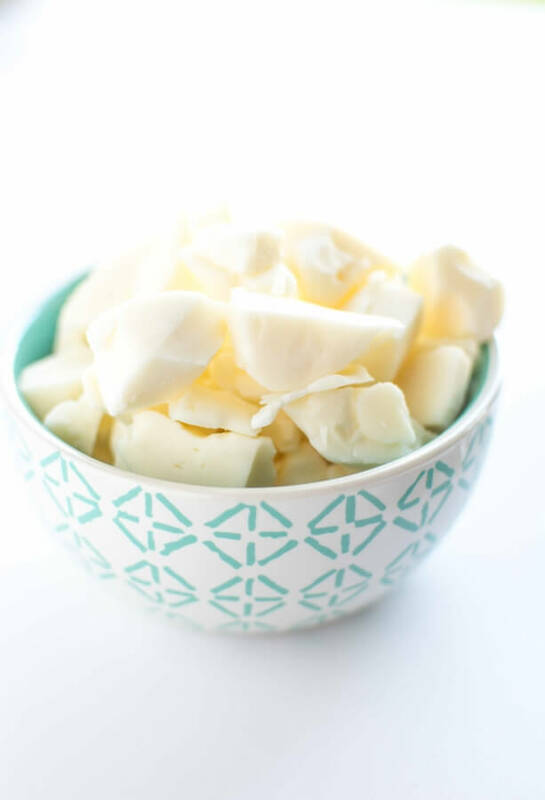 Cheese curds are getting a little easier to find around here now, which is a good thing! We have a local dairy who is stocking them at the grocery stores. Let me know what you think once you get a chance to try this! I have lived in Canada for over 70 years and have never eaten this dish. You seem to forget that this nation is over 5200 miles wide and ecompasses many varied, multicultural elements. This dish may be a Quebec creation, but Quebec is only one significant but separated part of Canada. Why don’t you consider Arctic Char or cabbage rolls or Fiddleheads or any number of other concoctions. Canada is one of those nations that takes the best from all its immigrants and makes them its own. I am certainly going to look up those other dishes you recommend!! Sounds amazing! I was born and raised in Canada and am nearly 80 years old and just tasted this dish last year, I agree with Archie don’t paint is all with the same brush. p.S. I didn’t like it! Hi James! No worries and I appreciate your input. Like I said, I knew anyone who had a true appreciation for poutine would find my version all wrong. But hey, I tried! I had to go with what I could find on the internet. Maybe sometime I will have the opportunity to travel and experience the real thing and therefore have a better foundation for recreating it! Anyway, whatever you call my recipe (chicken gravy on fries maybe?) it sure did make a tasty dinner. ETA: you would not believe how hard it is to find cheese curds around here, which is a shame, because they are really good! James is right on making the poutine. The fresher the cheese curds the better. When you chew a cheese curd and it squeaks, it’s fresh. I’ve had some that as you chew if feels like regular block cheese. I wish they were easier to find around here! 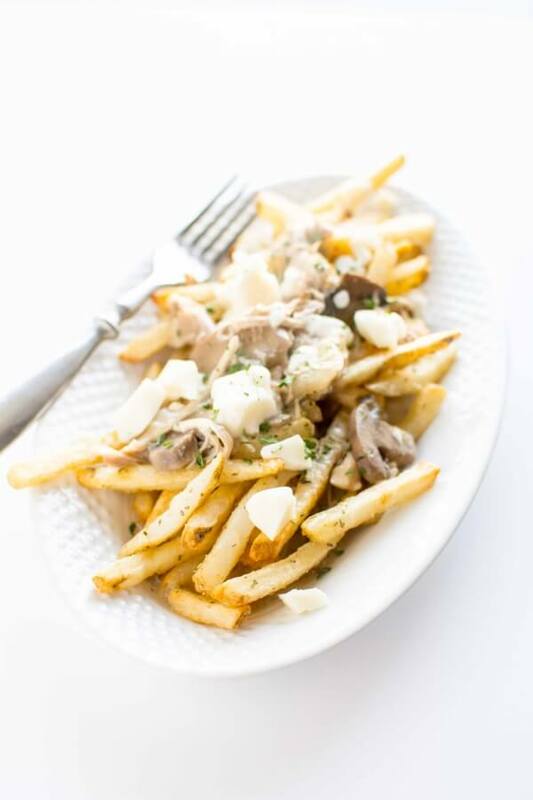 I am from Quebec and I will tell you what the ingredients are for the REAL poutine: curds, of course, and you can eat them as is when you have too much, they are so good, so number 1 is curds, then the French Fries, but the gravy is not made from beef, it is BBQ sauce. That is it. fries, curds and BBQ sauce. This is the basic poutine and we can get it here even in a McDonalds. That being said, you can have fun, and you should, with the recipe, and do whatever you wish with it. There are restaurants that serve only poutines, at least 30 different ones. So you can’t miss. Have fun with it. With all my love. Thanks Louise!! I certainly hope to get the opportunity to visit Quebec and try out all the wonderful foods for myself one of these days soon! OMG this looks so good. 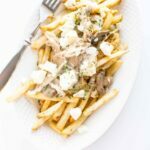 My husband and I get pork poutine at our favorite restaurant – it’s one of our absolute favorite meals. The thought that I might be able to pull off something like that with my crock pot is very exciting. I can’t wait to try this! Thanks! I’d love to try the “real thing” sometime but this was my best guess at what it should be like! Let me know what you guys think! Born and raised in Quebec the cultural home of poutine I’ve seen many variations. You need to try the “ real thing” then revise what you call this! It’s about as close to poutine as a pasty is to tourtiere! Hi Roy. I see you took my opening line to heart ;). 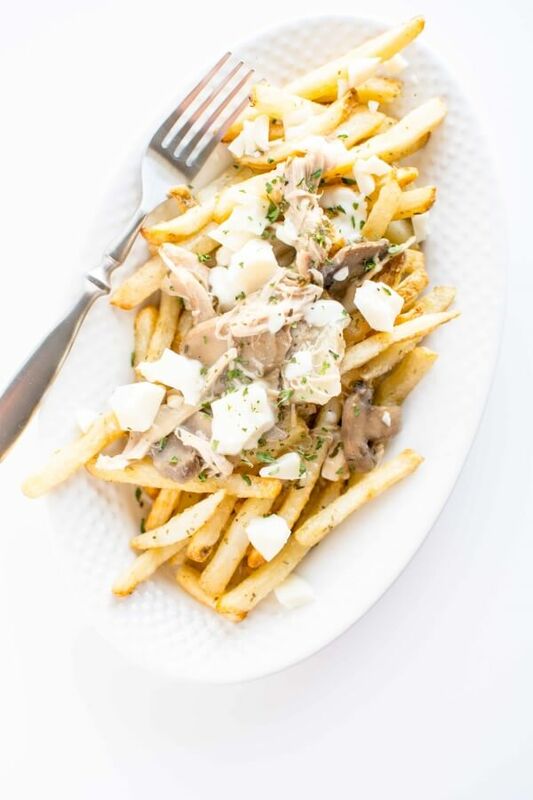 What is the number one most important thing about poutine that makes you most passionate about the dish?